I hate to break it to the Governor, a man I greatly admire, but Donald Trump has already brought the catastrophe to Cleveland. If he becomes the party’s standard bearer, the damage to the party will be far greater than if delegates exercise their discretion. Even if Trump were to parlay his cult of personality and Hillary’s unfavorable numbers into a squeaker of a victory, the down-ticket carnage to Republicans will be monumental. But the odds of a Trump victory grow dimmer by the day. A Washington Post-ABC News survey had Mrs. Clinton with a double-digit lead: 51 percent to 39 percent. A Wall Street Journal-NBC News poll had Mrs. Clinton with a smaller advantage of five percentage points. Both polls, released on Sunday, showed Mr. Trump in worse shape than he had been a month ago, as voters in the latest polls expressed doubts about his preparedness and qualifications to lead the nation. “I think there is a real concern that Trump is going to lead the Republicans to a Barry Goldwater-type 1964 defeat,” said Roger Stauter, an RNC delegate from Monona. “It just does not seem to be taking shape as a credible presidential campaign as far as content is concerned or the technique. Stauter, who is currently bound to vote for Texas Sen. Ted Cruz at the convention because he won the most votes in the 2nd Congressional District, said he won’t vote for Trump or Clinton in November. 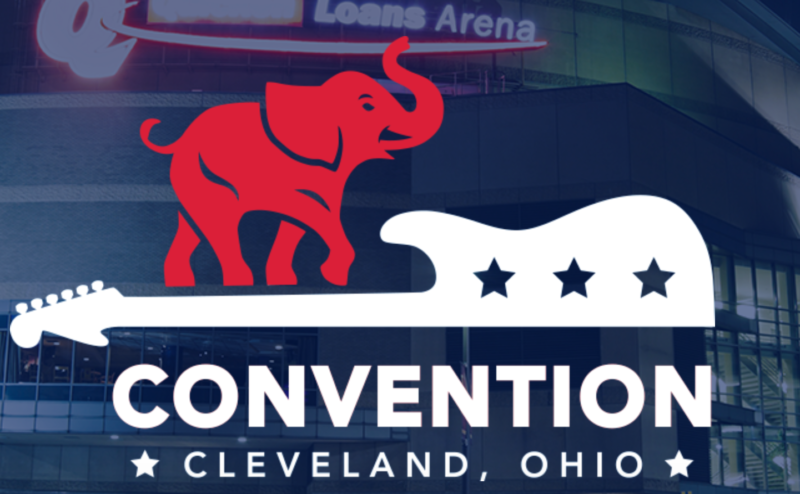 The Trump campaign and the Republican National Committee are moving quickly and aggressively to head off the fledgling effort to stage a revolt at their convention next month in Cleveland, hoping to spare the party an embarrassing spectacle that could deeply wound the presumptive nominee. The R.N.C. and the Trump campaign are also installing loyal party stalwarts in key party positions to help ensure that they maintain control of the convention if rogue delegates attempt a disruption. And they are trying to discredit Republicans who are advocating an interpretation of party rules that would allow delegates to vote for anyone they want on the first ballot. Their moves are intended to buttress Mr. Trump as he confronts a faction of Republicans who, emboldened by his recent missteps, say their efforts to stage a convention coup are gaining more support. In the last week, prominent Republicans like House Speaker Paul D. Ryan and Gov. Scott Walker of Wisconsin have breathed new life into these efforts by saying that delegates should be free to follow their consciences instead of being committed to back a candidate. Dear delegates, you are not drones and you didn’t sign a political suicide pact with Democrat Donald Trump. You have been empowered with the ability to set the rules and offer a course correction for the sake of our party and the nation. I think the Delegates need to take a stand and even if it results in nothing the grassroots will have the satisfaction of standing up and affirming the Republican Principals which are being trampled on by this candidate. How can a party nominate someone who will destroy it? History is full of demagogues that corral a small number of fervent backers and are able to use it to consolidate power and then??? Best to take your losses first ,as he will destroy Wisconsin by killing turnout. Lose in July, instead of November. Trump is one of the worst types of people I know. WE must show some balls.